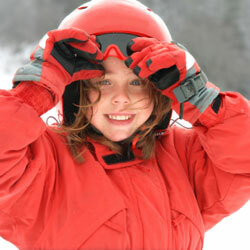 March 23, 2009 - Letter to the editor, The Gazette: Quebec has been handed the perfect case to support the passing of legislation for the mandatory use of helmets on ski hills. In my 26 years working in Trauma Care I have heard every ridiculous, naïve and self centered excuse to not legislate bicycle helmets and ski helmets. Natasha Richardson was not speeding, did not slam into a tree, was not playing football, was not intoxicated, did not collide with another skier, was not taking extreme risks, and was not on an expert hill. She simply fell and struck her unprotected head against the hard ground of a beginner’s hill. Brain injuries are incredibly devastating to the person who is injured and to their family and friends. Even patients who survive are quite often left with profound life altering deficits. Everyone is talking about this high profile case, feeling understandably horrible for her young children, husband, mother, family and friends. The story is terribly sad and one that I have seen repeated too many times. We need to learn from this tragic event now. It is always time for education, now is the time for legislation! It is time for Quebec to start with the legislation of helmets on ski hills and then finally to do the same for bicycle helmets. It is about using the knowledge we have to be aware of the risks and make smart decisions to keep people active, and healthy. We have clearly seen the benefits of seatbelt and car seat laws, the mandatory use of helmets is a no brainer! In my opinion it is irresponsible to not do what has to be done to prevent these types of tragic events. Remember nobody is invincible!